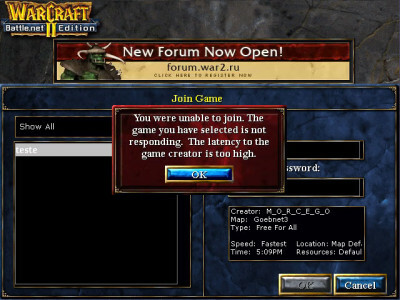 You host a Warcraft II game but your friends can’t join because they receive a “Latency is too high” message. This happens because your router is blocking traffic for port 6112, which is what WC2 uses. To fix the latency issue that prevents people from joining your games you will need to forward port 6112 in your router configuration page. Note: These instructions will help only if you receive this message when you try to host, i.e. if NOBODY can join your game. Connection problems affecting individual users are not covered by this solution. All these instructions will be applied to you ONLY if your ISP (Internet service provider) provides a REAL IP for you. Otherwise this article will be useless for you and you should either change your ISP or take some additional services like external VPN service. Also note that REAL is not the same as STATIC. Your IP can be dynamic, but still real. and the IP given by any site showing your public IP address. Also read this forum thread about real IP. This port forwarding guide will only help when your ISP provides real IP for you and you have your own router used for Internet connection. 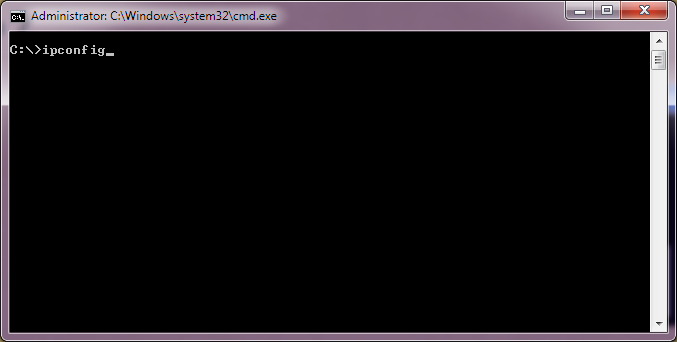 In the black window that pops up type “ipconfig” (without quotes) and press enter. Make a note of the number beside “IPv4 Address” and the one beside “Default Gateway” — you’ll need them later. Proper local IP address should begin with “192.168.” or “10.” or “172.16.”. Default Gateway for most routers will be 192.168.0.1 or 192.168.1.1 if you didn’t change it during the first configuration. If none of these combinations work you can check this website for the default information used by your make & model of router, or look on the side of your router or in the instruction manual. If the default password has been changed to something unknown you can reset the router to factory default settings by pressing the small “reset” button on the side/back/bottom of the router with a paperclip and holding it until the lights flash (usually for around 30-60 seconds). Once you have all the necessary information and can successfully login to your router, follow the rest of the steps below. Note: The following instructions are generic. Your router interface may not look exactly like the screenshots below (Step 4) but it should be similar. The idea is to look through the settings pages and locate the section that handles “Port Forwarding” — once you’ve found that it’ll be easy to figure out what information goes where based on this guide. You can also get specific instructions for your make & model of router on portforward.com. Once you find the page for port forwarding you will see a table with several different fields for you to fill out. Generally, only one entry is needed for port 6112 (enter “6112” in both the Start and End fields) however a range can be used as well (e.g. 6112 – 6119). If there’s only one field for the port (no start/end) that’s fine too. Protocol: If possible set this to “Both”. If “Both” isn’t an option you will need to create two separate entries in the table. They should be identical, but one should be for the “TCP” protocol and one for the “UDP” protocol. IP Address: this is the IPv4 address you wrote down from ipconfig in Step 1, you usually only have to enter the digit(s) that are after the final period. Make SURE you use the IPv4 address you wrote down from Step 1. DO NOT use the same address used to access your router! Enable: this box needs to be checked in order for your settings to take effect, otherwise they’ll be saved to the table but not activated. When you’ve finished entering the settings make sure you click on the “Save” or “Apply” button (or equivalent) located at the bottom of the page, otherwise your entries will be lost. Once the page reloads and you confirm your new port forwarding entry is saved, that’s it! You should now be able to host. When you click on “Save” some routers might take a long time to apply the changes. Your Internet connection may even get briefly interrupted – don’t worry! It’s normal and should resolve itself very quickly. And… that’s it! Now GO HOST! Still can’t host? Try following these additional steps. War2Combat configures windows firewall automatically. There’s no reason to do that yourself if you install Combat. 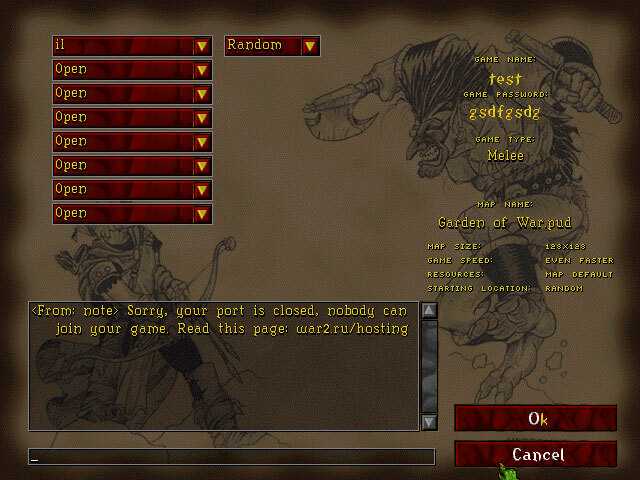 Sometimes your firewall can accidentally get configured to block incoming connections from Warcraft II — this will prevent you from hosting even if your ports are forwarded. Follow this step-by-step guide to check your firewall settings. 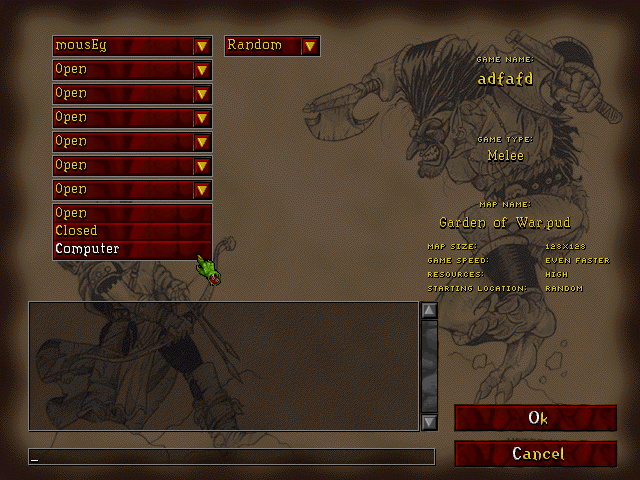 This guide only works if Warcraft II is set up to use port 6112, but sometimes it can become set to a different port. Follow these steps to make sure it’s actually using 6112 so your port forwarding settings can take effect. Another way is to manually set your game data port in the registry — click here for a step-by-step guide. Sometimes after you forward port 6112 your will receive a message when you host saying that port 1024 is blocked now. If you’ve already followed the steps above to check your firewall & game data port then there are a few more things you can try. Reinstall War2Combat. Grab the latest version from our home page and rerun the installer. (No need to uninstall the current version first. If you have custom options set, e.g. to include the singleplayer campaigns or the black to pink patch, make sure to select them again.) The first time you run War2 after reinstalling you should receive a prompt asking to update, click “Yes” and War2 should open in a few seconds. If it doesn’t then right click on the icon and select “Run as administrator” and try updating again. Forward port 1024. If reinstalling doesn’t work then repeat the steps in this guide to forward port 1024 in your router. (Don’t delete the entry you made for 6112, just forward both.) This will usually work if you were previously able to host after forwarding port 6112, then some time later started getting the message about port 1024. 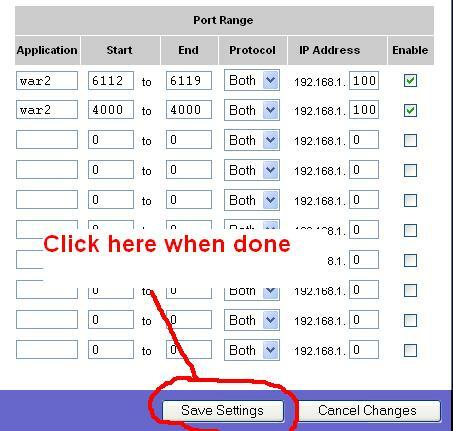 This method is optional and not needed if you followed Steps 1 – 4 to forward your ports. Port forwarding is the better option and should fix hosting for most people, but if it doesn’t work you can try enabling DMZ (if your router supports it). 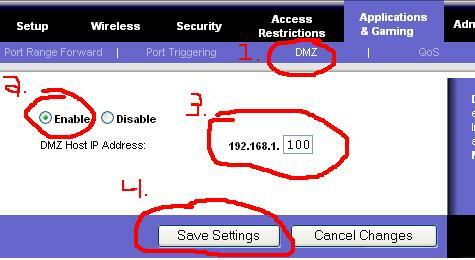 DMZ essentially means you forward all the router ports into your local computer behind the router — it’s less secure, so it’s better to try port forwarding (above) first. Follow Steps 1 – 2 above for accessing your router. 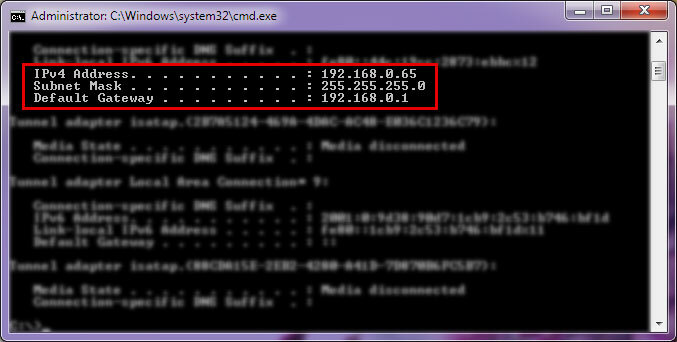 Find the setting for DMZ in your router, click enable, and then finish filling in the IP (the same one you used before). When you’re done click on “Save settings” or the equivalent. Also note that if your local computer uses IP address assigned automatically by DHCP, that means its IP address could be changed from time to time. Then your ports (or DMZ) will be forwarded to the wrong IP address and become broken. Possible solutions are to either to assign static internal IP for your computer (that doesn’t mean static external IP given by ISP) OR to configure your DHCP to fixed IP attached by MAC address. Now getting a error message my 1024 port is closed? How do I now fix this issue hosting? Hi deafmute, you can post on the support forum to get help with this issue. Please be sure to mention what version of war2combat you’re using and what you’ve already tried. IM trying to fix my deal hear so that people can join the game I host. Idk what the deal is but ive tried everything. There is no start and end spot to put the 6112 just one spot. I put 6112 and then itl say that another one is blocked. 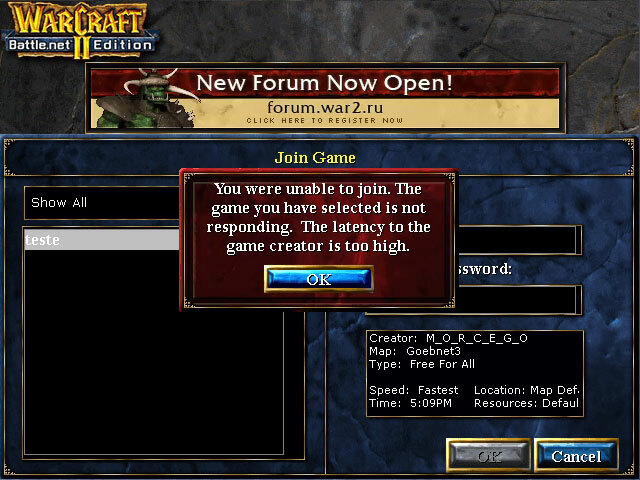 Sign up for the War2 Forum and send me a private message, I can try to help you resolve your hosting problem. Hi. I have a question regarding playing online. Is it possible to have computer opponents in war2combat? Thanks in advance for your help. Hi Sam, yes it is. When you host the game select “Melee” as the game type in the drop down menu and you’ll be able to select computers in the slot drop-down menus. NEW ERROR – a game with that name already exist ! I tried to host a game and at all my tryes (a lot of names) I receive this stupd error and I cannot host a game. What can I do to can host games ? can you post instructions to do this on a mac? I followed the instructions for port forwarding since I was no longer able to host games (although I always used to be able to host no problem forever until now). However, when I saved the changes and tried to join w2, I was unable to get into w2 at all (something about having to manually connect modem error message). I removed the 6112 and enable and then was able to get in w2 again. I can’t say for sure without knowing more about the error message you were seeing. Is it possible to repeat the steps and take a screenshot of it? If yes I recommend doing that & making a post in our support forum for further guidance. I’m trying to create a game and have my son join me. My son is in the same house and uses the same router/Wifi. The latency message is showing up and I have completed all the steps above. Please help.